Ralco is a family owned and operated company, founded in 1974, with its Headquarters located in Biassono, a suburb of Milan, Italy and a satellite office located in El Dorado Hills, California, USA. 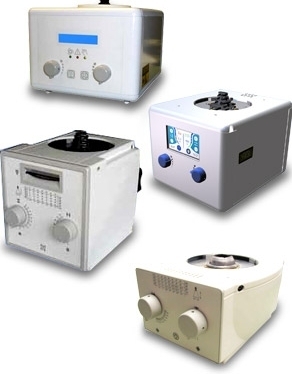 Ralco has steadily grown to become the world’s leading manufacturer of medical collimators, specializing in customized products built to your specifications. With over 40 years’ experience, Ralco has gained more expertise and knowledge in radiological collimating applications than any other manufacturer. The range of X-ray collimators produced by Ralco is extensive, equipping the majority of the industry’s medical X-ray systems on the market today; from collimators used on mobile units, to systems specifically suited for sophisticated cardiovascular applications. Ralco employees participate in ongoing companywide training programs to provide expertise knowledge of product and service to provide to our customers. Quality assurance and control procedures are applied to ensure collimators are designed and manufactured to the highest standards. Ralco is IEC 60601, ISO 9001, ISO 13485, CE, CSA, Canadian Health Ministry and FDA certified. Beginning with our in-house design team to our manufacturing department, to our knowledgeable sales force, Ralco has the flexibility to partner with customers to produce X-ray collimators with the highest of standards to reach the market faster in every corner of the world. Your utmost satisfaction is always our goal.